What a beautiful day, in fact I feel like its perfect for todays post. If you watched closely all of my other platforms (Instagram, Snapchat, YouTube, Facebook, Twitter), you could see me travelling a lot in April, and one of those trips included finding out if I am really a festival girl. When I think of Glastonbury, Coachella, Exit or any other world renowned festival I think of great music and sleeping in a tent, fantastic fashion inspiration and getting your shoes dirty, so much fun, but being exhausted from missing a proper shower. You get the point. 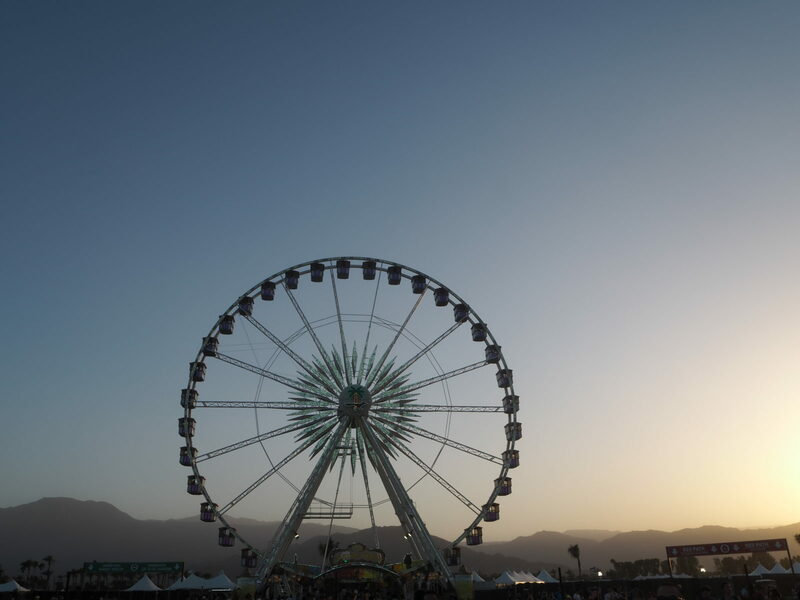 But actually Coachella is different, and even though I am not such an expert on topic of festivals, I can talk about my experiences and festival DOs and DONTs. We stayed in a hotel and had VIP passes. That means regular showers and not too much pushing. On the other hand I really enjoyed listening to my favourite performers such a Sam Smith, Disclosure, Sia, Rihanna, Big Sean and Calvin Harris in the non VIP bit. If you are thinking of getting a pass but can’t make up your mind between the two, I personally don’t think that there is much difference, besides constantly brushing your shoulder of Beckhams’ and Paris Hilton. I found out that I am not a person that gets obsessed with celebrities, so for me it doesn’t really matter. I was lucky enough to be invited by ghd, one of my favourite hair brands, in terms of definitely best hair tools you can ever imagine. That basically meant I could chose what I wanted done with my hair every single day, and you can see that best on my YT Channel. 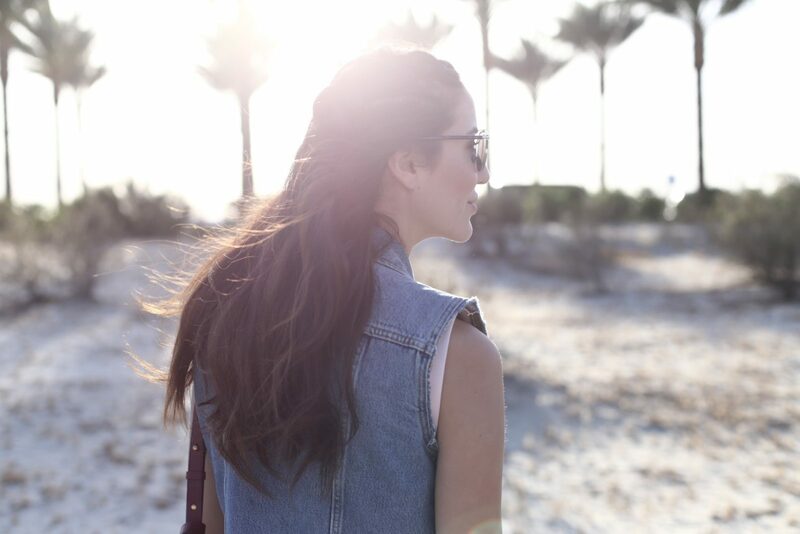 Below you can see my looks, hairstyles, and accessories I loved during the first weekend of Coachella. Final conclusion is that I am probably not the perfect girl for dancing in the Glastonbury mud, but extremely loved Coachella, the heath, the fashion, performances, and the amazing people that kept me company there. I guess that means that I am Calvi or Coachella girl, but maybe not your ideal festival girl after all. Kakav divan dan, mislim da je savrsen za danasnji post. Ako ste pazljivo pratili sve moje druge platforme (Instagram, Snapchat, YouTube, Facebook, Twitter) sigurno znate da sam u aprilu mnogo putovala, a jedno od putovanja je bilo izuzetno korisno jer sam otkrila da li sam neko ko voli muzicke festivale. Kada pomislim na Glastonbury, Coachella ili Exit festivale, pomislim na odlicnu muziku, spavanje u satoru, sjajnu modnu inspiraciju, prljave cipele, mnogo zabave ali i iscrpljenost te ceznju za pravim tusem. Shvatate sta hocu da kazem. Ipak, Coachella je drugacija, iako nisam ekspert po pitanju festivala, mogu vam reci nesto o svojim iskustvima i svim ZA i PROTIV kada su oni u pitanju. Mi smo odseli u hotelu i imali VIP propusnice. To znaci redovno tusiranje i ne previse gurkanja. S druge strane zaista sam uzivala slusajuci muziku mojih omiljenih izvodjaca kao sto su Sam Smith, Disclosure, Sia, Rihanna, Big Sean i Calvin Harris-a u onom drugom, ne VIP delu. Ako razmisljate da idete sledece godine a ne znate koju kartu da uzmete, iskreno nema previse razlike, osim sto se u VIP delu konstantno susrecete sa Bekamovima i Paris Hilton. Iz ovog iskustva naucila sam da nisam neko koga fasciniraju poznate licnosti, tako da meni ova razlika nije bitna. Imala sam tu srecu da me pozove brend ghd, koji je u Engleskoj najpoznatiji proizvodjac termickih uredjaja za kosu, dakle fenova, pegli i figara. Kao sto mozete zamisliti to je znacilo da mi je svaki dan frizura bila onakva kakvu sam zelela, a to ste videli bolje na mom YT kanalu. Ispod mozete videti i moje kombinacije, frizure i detalje koje sam nosila. Definitivno sam zakljucila da nisam savrsen kandidat za ples u blatu na Glastonbury festivalu, ali mi se Coachella jako dopala, lepo vreme, muzika, moda i ljudi koji su mi tamo pravili drustvo. Mislim da to znaci da nisu svi festivali za mene, ali Coachella ili Calvi svakako dolaze u obzir. 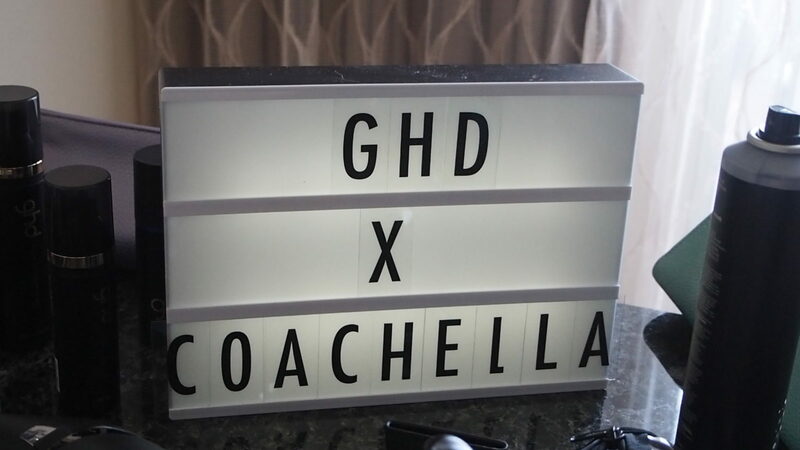 You can see below in the “Shop my Festival Favourites” what I wore to Coachella and what I think is perfect for festivals, but thought Id also add some tips for what to do and what not to do when heading to Chella. 2.Dont drink too much. This isn’t a style tip, but actually it kinda is, because people tend to not care where their skirt is after one too many cocktails. 3.Bring a layer. Its so hot during the day, but can get chilly in the evenings. That is of course unless you are wearing the “Vodka Jacket” (read number 2 again if you intend to keep warm this way). 4.People don’t need to see your private parts. Wow this is a special one, because the amount of bottoms I saw during the Coachella weekend is just extremely high. No one really enjoyed seeing those shorts which reveal too much, so don’t be that person. 5.Wear something comfortable, something you can have a great time in, and something you won’t worry if hot dog sauce goes all over it. After all its about having fun. 1.Stikle ne dolaze u obzir. Prilicno jasno, s obzirom da ne idete u hotel sa 5 zvezdica, niti u bar- restoran, vec na jednu poljanu. Da li biste nosile Louboutin cipele za setnju parkom? Nisa ni mislila..
2.Nemojte previse piti. Ovo mozda nije modni savet, ali zapravo i jeste. Ljudi ne vode racuna o svom izgledu kada popiju jedan koktel vise nego sto bi trebali. Tada se suknje dizu, a majice spadaju. Ne, ovo nije nesto sto mi je bilo prijatno gledati. 4.Ljudi ne zele da vide vase privatne delove tela. Ovo je posebna stavka jer iskreno kolicina otkrivenih pozadina koju sam videla za vreme Coachelle je bila ogromna. Ovo zaista nije bilo atraktivno nikome, a najgori su bili oni sortsevi iz koje vire neke prekipljene zadnjice. Ne, nemojte biti ta osoba. 5.Nosite nesto udobno, ubucite se tako da se mozete sjajno zabaviti bez bilo kakvih smetnji. Svakako izbegavajte bilo sta na sta ne zelite da prospete kecap ili sos iz Hot Dog-a. Na kraju krajeva festivali su stvoreni za dobar provod! Sve izgleda prekrasno… Kao neka nevjerojatna glazbena i modna bajka usred pustinje! :) Odlican post! Ja zakljucujem da si bez obzira na sve ostala dosledna sebi. :-) <3 Najviše mi se dopada kombinacija sa bijelom majicom bez ramena. Fab pictures! Great festival looks! You rocked the festival style! Loved all your looks. Thank you so much for this blog post, it’s wonderful. 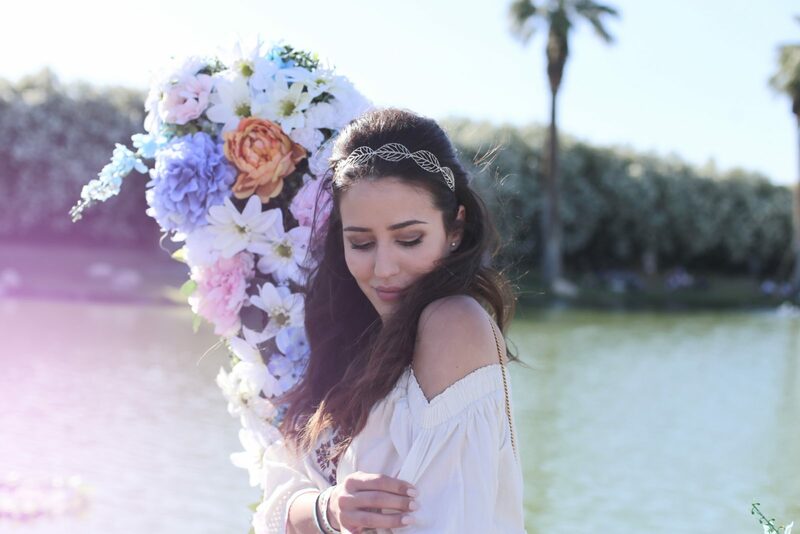 All of your outfits are pure perfection… and your video … what dreams are made of! Totally love your looks! Especially the hair accessories look amazing! Great post! The photos are so beautiful and I love all your looks! I’m definitely more Coachella than Glastonbury as well! I especially loved your hair whilst you were at Coachella Tamara! Amazing pictures. You are looking amazing. Amazing!! I love your looks. Love the dress and the off the shoulder top!